North of Slave Lake on Hwy 88 to km 86, turn right follow for 1/2 km. PLAINS MIDSTREAM CANADA PUMP TERMINAL. 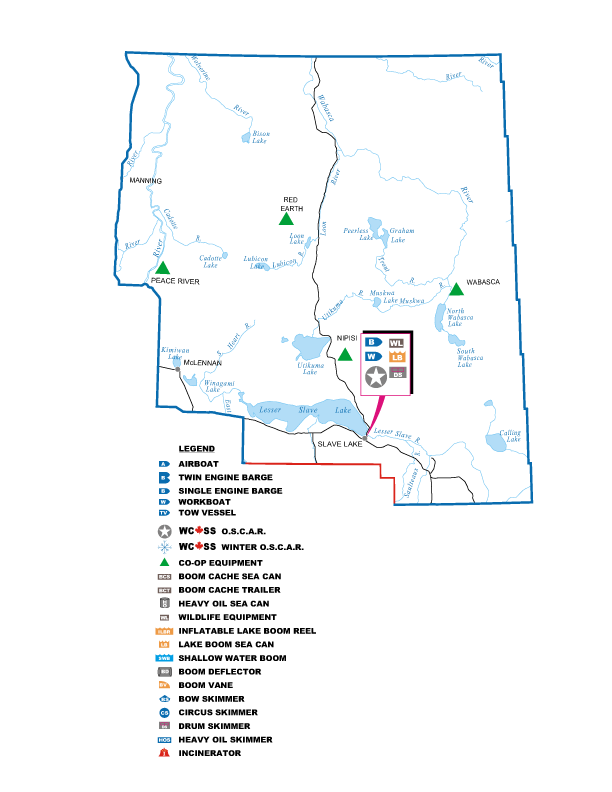 Directions: From Slave Lake, travel north on Hwy 88 for 32 km. Turn right (northeast) onto Hwy 754. Travel NE for 89.3 km, turn left (north) at 4-way stop, travel 1.8 km, turn right (east) on Airport Road. Travel 1.7 km. KMC yard is on the left (north) side of the road.